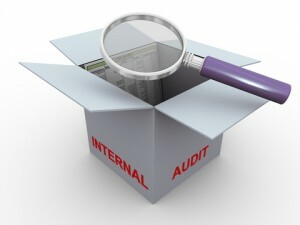 Internal audit software is a key requirement for 21st Century auditors. Get real-time completion status of ongoing Audits at all locations. Centrally manage audit planning, audit programs, workpapers and fieldwork and coordinate information among Auditors, Auditees and Management at all levels of organization. Laser Audit Reporting System puts you in control of the complete audit lifecycle by establishing a systematic, disciplined and a uniform process for internal audit management. Aligned with the Institute of Internal Auditors (IIA) standards, this web-based solution enables you to plan your annual audits, schedule it, view audit programs, create work papers and findings and track ongoing observations. Through LARS® you can keep all your audit files in one place and easily share them with Auditors, Auditee and Management Team. Read more. Brings Auditors, Auditees and Management together. Establishes a transparent and uniform process for internal audit management at all levels of an organization. Get reports showing breach of committed dates for observations by department. Effectively plan Annual Audits by selecting audit areas based on control effectiveness measure history of audit areas. Auditors get a central workspace to manage all audit areas assigned to them. Instead of scattering documents all over the place, LARS® keeps all information of an audit area centralized at one place. Create Audit Program from scratch or use one already saved in your “Audit Program” repository. Simply select the audit program from repository that closely fit your audit, edit the plan as required and you are done with audit program, saving your hours of data entry time. Create work paper and findings for an audit program. Update field work and findings for each control, policy or procedure that is evaluated. Create observations related to a control, policy or procedure. Capture complete observation details such as observation title, observation details, type, category, escalators, impact, short observation, recommendations etc. Quickly fetch the list of open observations by audit area, auditee, department or SBU. Create corrective and preventive recommendations for improvements for identified observations. Auditees create action plan, assign responsibility and sets deadline in response to the suggested recommendations. Keep all your audit files in one place. Easily share files, documents, images with Auditors, Auditees and Management. LARS® supports all popular file formats including Microsoft Word, Excel, Power Point, Outlook Message, PDF, JPG, Gif, PNG etc. Automatically reminds auditees to update status on pending action plan activities. Automatically escalates activities that remain incomplete after “X” no. of days from due date of the activity. At PML Advisory, we trained and certified to implement LASER Audit Reporting Software and other LASER suite of products in Nigeria.